Students and staff came together to raise money through a range of activities throughout this school year. Thank you to everyone involved. 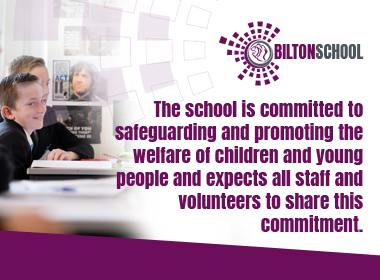 In April 2017 Bilton School joined the Stowe Valley Trust led by the outstanding Southam College. The Executive Principal, who is a National Leader of Education and has been Head of Southam College for 8 years, is responsible for standards across the Trust and has been aligning leadership, pastoral and curricular systems across the two schools since April 2017. Byfield primary school is also part of the Stowe Valley Trust. How do we care for students? Upon admission in Year 7 students are placed in house based, mixed ability tutor groups with a Pastoral Leader, Achievement Leader and Assistant Head teacher supporting the academic and personal development of every student. Tutors will see their tutor group every morning and are a daily point of contact to reward achievement and alleviate any concerns students may have. Pastoral leaders will enhance the work of tutors and support students throughout the school day. Achievement leaders will monitor academic progress and facilitate appropriate intervention so that no student falls behind. We value close links with our parents and carers and we keep them fully informed about each student’s progress in every lesson. This is done through our established stamp system which lets students, parents and staff know how well students have done in every lesson. Stamps are shown in the student planner so parents can track very closely the progress students make in every lesson. Parents will also have a picture of students’ achievement and attitude to learning in termly progress reports and our staff welcome parental contact at any point throughout the year. There is also a parents evening for every year group which provides parents with an opportunity to meet all their child’s teachers. 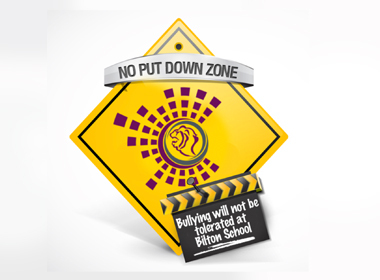 Year 7 students have an additional settling in evening soon after they start at Bilton to ensure that there has been a smooth transition from primary to secondary school. Finally all staff, this includes office staff, support staff and teachers will aim to get to know students during their time at Bilton. All of us will model appropriate behaviours of courtesy and respect so that students see us as role models who are firm, friendly and caring. We will work together to provide every student with the very best education possible and encourage them to be the best they can be at all times.